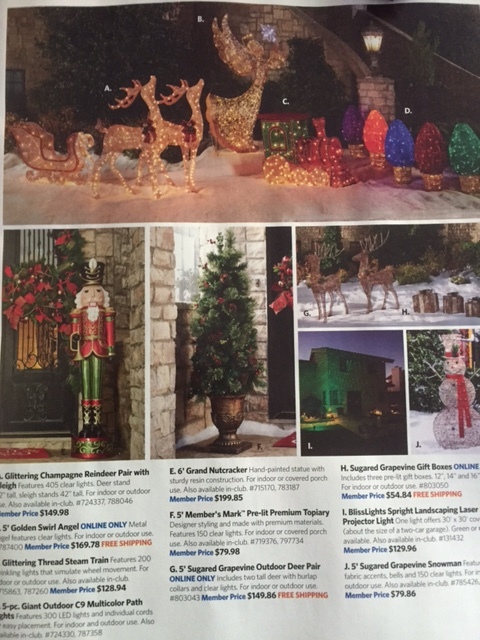 I got excited when I saw there was a Sams Club Winter catalog in today’s mail. I love Sams Club. Where else can you get a jar of pickles that will feed 1000 people? Sam fooled me into opening a catalog with Christmas stuff in it by calling it “winter”. I can never live up to the expectation of decorating perfection. I’m not a good gift buyer. The daily countdown of how many more shopping days feels like I’m watching the clock on a time bomb count down. Tick. Tick. Tick. 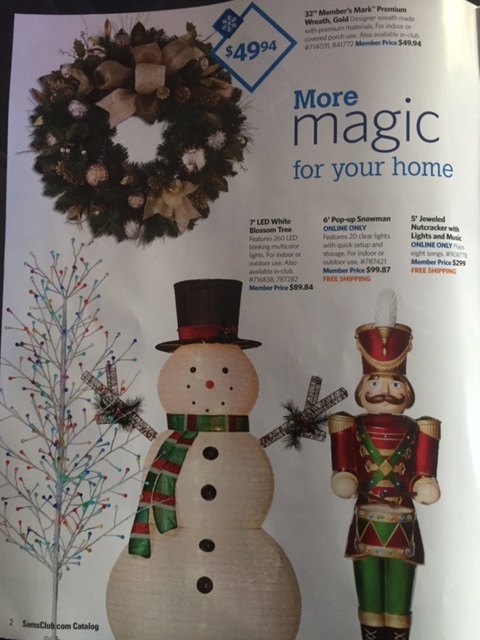 According to the catalog page above, if I buy a nutcracker, a snowman, a Charlie Brown tree and a nice wreath my home will be filled with magic. MORE magic to be exact. This means there is already magic somewhere here. I’m going to find it and use it to skip over the month of December.